"This was a bit more on the expensive side, but I couldn't get a similar cheaper one to work easily. Also this has a pass through on the modem side, rather than taking up two power outlets. It took..."
"Great product. I bought two of this kit sets for my teenage sons. They need stable and better internet speed for their online gaming and study. With these two units I can avoid drilling holes on the..."
"I purchased this to replace a little Dlink 300 mbps wifi range extender after moving house, and am very impressed with the performance. 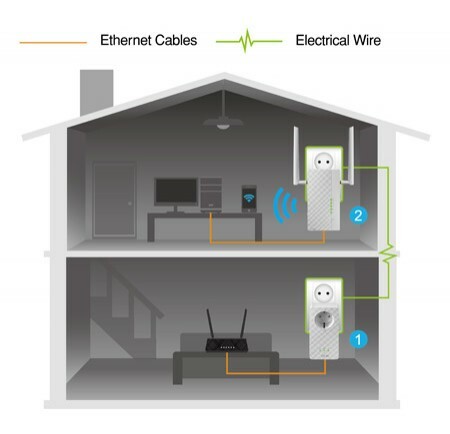 The wireless connection speeds are very impressive, and the LAN..."
- Powerful 1200Mbps HomePlug® AV2 powerline connectivity with 1200Mbps dual-band AC1200 Wi-Fi MIMO range extender. 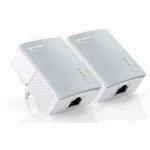 - Flexible connectivity for multiple devices via powerline, three Ethernet LAN ports and Wi-Fi. 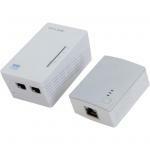 - Plug-and-play setup with easy Wi-Fi network cloning. 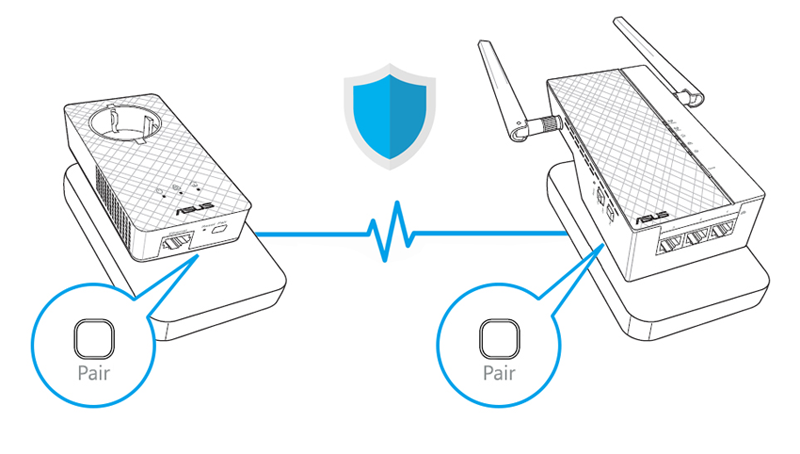 - Encrypted pairing blocks unauthorized devices for protected security. 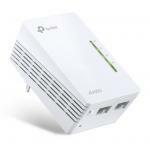 - Integrated power socket ensures no power outlet is wasted. 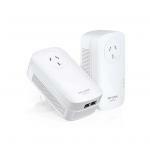 Your PL-AC56 Kit is the easy, instant way to extend your wired and Wi-Fi networks to hard-to-reach areas of your home. 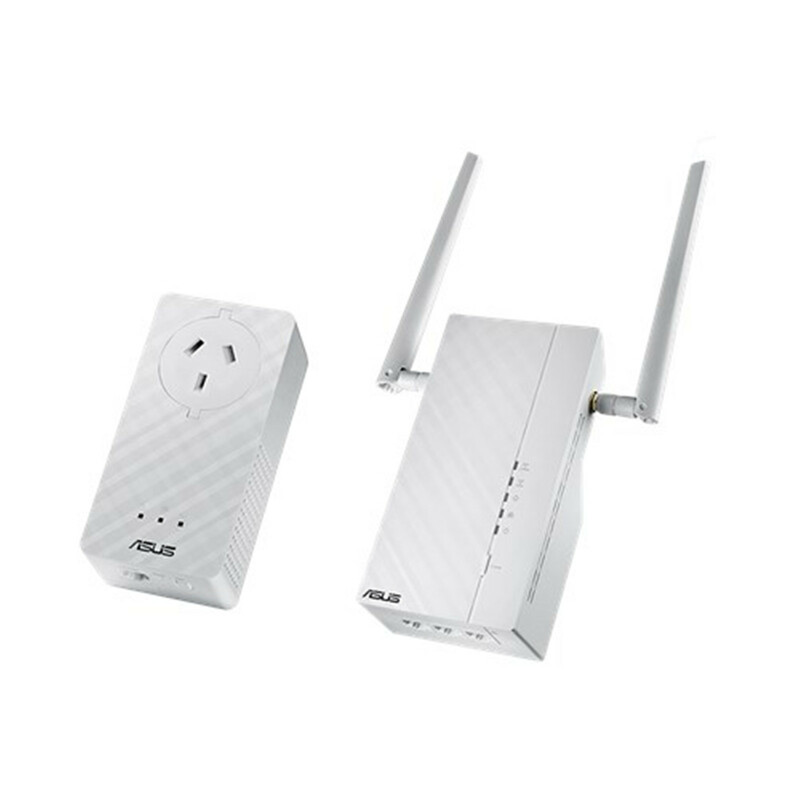 PL-AC56 Kit uses 1200Mbps HomePlug® AV2 powerline technology integrated with 1200Mbps AC1200 Wi-Fi to extend fast wired and wireless networking anywhere in your home via existing electrical wiring. Simply plug it in and enjoy fast, stable connections for all your devices - with no cable mess! Step1: Connect the smaller adapter to your router with a network cable, and then plug it into a power outlet. Step2: Plug the larger (Wi-Fi) adapter into any power outlet, and then connect your devices via Wi-Fi or the network ports on the adapter - and that's it! 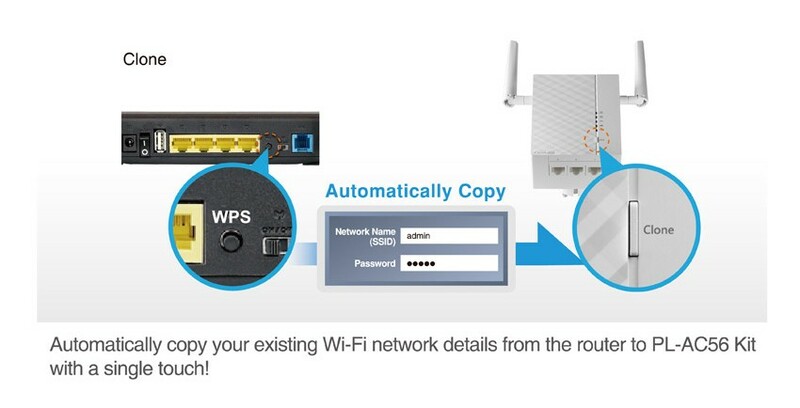 By pressing the Clone button on the Wi-Fi adapter and the WPS button on your router, it only takes a few minutes to set up your Wi-Fi. Once it's done you can enjoy seamless networking across your home or office - there's no need to configure the adapter again! The Pair buttons on both adapters set up an encrypted connection between the adapters, and prevent anyone connecting an unauthorized adapter to your powerline network (you can always add your own adapters, of course!). This is perfect if you live somewhere with shared electrical wiring, such as an apartment - your neighbors won't be able to accidentally connect to your network. Remember to always keep your device's firmware up to date so you can benefit from the very latest service and security enhancements - and get exciting new features! What unit do i use to extend further to another location? Great product. I bought two of this kit sets for my teenage sons. They need stable and better internet speed for their online gaming and study. With these two units I can avoid drilling holes on the wall to connect their desktop computers in different rooms by using long Ethernet cables. 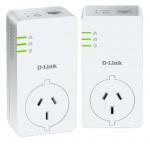 Plus we can get better WiFi singles by using Dual-Band Wireless-AC1200 HotSpot. Kids are happy with the result when play online game without lag. By using double power point adapters and power extension cables I can put these kit sets in the right place and can do some parent control things.Great product. I bought two of this kit sets for my teenage sons. They need stable and better internet speed for their online gaming and study. With these two units I can avoid drilling holes on the wall to connect their desktop computers in different rooms by using long Ethernet cables. Plus we can get better WiFi singles by using Dual-Band Wireless-AC1200 HotSpot. Kids are happy with the result when play online game without lag. By using double power point adapters and power extension cables I can put these kit sets in the right place and can do some parent control things. I purchased this to replace a little Dlink 300 mbps wifi range extender after moving house, and am very impressed with the performance. The wireless connection speeds are very impressive, and the LAN ports extremely useful. Bloody brilliant.I purchased this to replace a little Dlink 300 mbps wifi range extender after moving house, and am very impressed with the performance. The wireless connection speeds are very impressive, and the LAN ports extremely useful. Bloody brilliant. Normally: $251.30 Normally: $289.00 $229.60 ex. $264.04 inc.